What types of positions does Digirad hire? Most of our positions are in mobile healthcare, so you should be a self-starter, enjoy being on the go, and working independently. Tech savviness is a must as we use technology to submit reports and communicate with the home office. We’re looking for energetic, professional candidates with strong communication and customer service skills that will proudly represent our company. We generally look for a skill set that includes emergency medicine and advanced cardiac life support (ACLS). The training and experience of a paramedic or an Emergency Medical Technician (EMT-I) is an excellent match for the qualifications of a Cardiac Stress Technician. Exercise physiologists, EKG technicians, and nurses may also be a good match for this role. The ultrasound technologists we seek are generally specialists in echo, vascular or general ultrasounds. Very few candidates specialize in all three modalities, and those that have all three are highly sought after. This is a degreed position with the ability to earn additional registries for specialties. These candidates are also known as Sonographers from hospitals, imaging centers, and other healthcare providers. Nuclear Medicine Technologist is another degreed position with certification by NMTCB or ARRT(N), and requires additional skills. Digirad NMTs are in different offices each day, so communication, dealing with different personalities, and being able to take direction is key. Digirad NMTs represent the highest standard of excellence in the field. DMS Health Technologies is a division of Digirad that specializes in mobile healthcare. 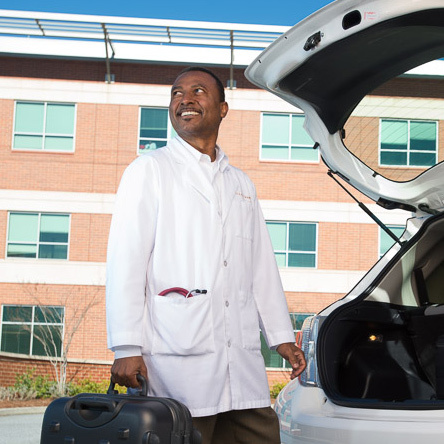 We typically hire mobile techs for field positions who are either CT/MRI specialized or CT/PET specialized. Candidates should have the appropriate licenses and certifications and be able to demonstrate the knowledge, skills, and abilities to perform the imaging procedures that meet the quality expectations of the patient, the referring physician and the radiologist. Following orders and protocols, administering medication, viewing images for quality and transferring them to the customer for interpretation are the key responsibilities of these positions. These positions also travel a given route during the workweek and, depending upon the customers’ locations, may require an overnight stay. Either an RN or an LPN who has gained cardiac experience from working in a hospital setting or an independent diagnostic facility setting can fill our nurse positions. Fluent EKG reading is a must, as is strong communication and customer service skills, since speaking and coordinating with patients and physicians via telephone is a major responsibility of this position. The clinical technicians we hire must be CCT or CRAT certified and have some prior work experience in a hospital telemetry setting or an independent diagnostic testing facility setting. The training and EKG reading experience of an Emergency Medical Technician (EMT) is also a qualifying match for our clinical technician position. Our most sought-after candidates are energetic with strong communication skills who have the technical training, but also excellent customer service skills. At Digirad, we continually search for candidates who are driven and motivated, are self-starters and look forward to exercising authority and autonomy in managing their workday. If you have the experience and are looking for more freedom, a consistent schedule, and to be part of a select team, Digirad may be the ideal place for you.